THE MANDATORY RETIREMENT for civil servants is to rise from 65 to 70 under new measures announced by Finance Minister Paschal Donohoe today. However, the new measure will mean people can work up until 70 if they so choose. Who do the rule changes affect? Public servants only. The increase applies to the compulsory retirement age from 65 to 70 for public servants recruited before 1 April 2004. The minimum pension age (the earliest date at which someone can retire and receive their pension) will not be affected by the new arrangements. The rule change only impacts on those that work in the public sector. It does not apply to those working in the private sector. It is also optional – it does not require employees to work until they are 70. Legislation will be necessary to bring this in. Finance Minister Paschal Donohoe indicated that he would ask the Attorney General to prioritise the drafting of this legislation so that the new compulsory retirement age would become effective as soon as possible. He hoped progress would be made on the matter in the new year, however its understood it will be brought in on a phased basis over 2018 and 2019. Why are the government bringing this in now? Changes in the pension age means people cannot draw down their pension until they are 66 – soon to be 68. However, many workers are forced to resign at age 65 meaning they must “sign on” as a jobseeker. 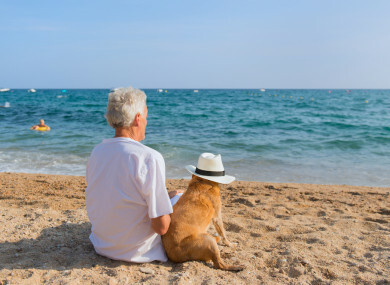 “Many would prefer to continue to work to normal State pension age, rather than engage in this process, which is likely to become more protracted as the age of eligibility for the State Pension increases in 2021 and 2028,” said the minister. What about people who don’t want to retire in the interim? In the meantime, the minister announced that he had agreed with sectoral public service employers some limited interim arrangements to apply in the period between today’s government decision and the commencement of the necessary legislation. Public servants who reach the age of 65 in that period and who wish to remain working can be allowed to do so by ministerial order. Can people draw down their State pension and continue working? No. If the worker chooses to carry on working after 65 they cannot draw down their pension until they actually retire. Workers who have already paid 40 years of pension contributions entitling them to a full pension but opt to stay on for longer will continue to pay contributions, but will not get the benefits of accruing further pension entitlements. Does the new age apply to workers like the gardaí? No. Gardaí, permanent Defence Forces, firefighters and prison officers who are currently required to retire early due to the nature of their work, will not be covered by the new arrangements. If people are working a lot longer, will that not mean a higher public service pay bill? Yes, the minister admitted this could be the case. He acknowledged to reporters today that older workers who continue working are most likely going to be on higher grades of the pay scale. However, he insisted this cost would be partially offset by the fact that the pension lump sums would be deferred for longer. What about younger workers? If people don’t retire does that not take opportunities away from the younger work force? The minister dismissed the idea that it will have a negative impact on younger workers, stating that there is more scope to hire more workers. So this only impacts workers in the public service – but what about those that work in the private sector? As stated before, it does not affect workers in the private sector. The minister said the government cannot dictate to the private sector on retirement. However, he said his department is working with the Workplace Relations Commission to draft a code of conduct for employers in the private sector. It will give recommendations to employers on how to deal with retirement issues — but the minister reiterated that the government does not have a role to play in how private sector deal with when their employees should stop working. Email “Explainer: Retirement at age 70 - what do the new rules mean?”. Feedback on “Explainer: Retirement at age 70 - what do the new rules mean?”.